Do you feel frustrated by your clothes every morning as you dress, and wish you had a better sense of “style?” Or perhaps you’ve gained weight, and finding cute clothes that flatter your new body seems like a pipe dream … or you have lots of clothes but feel clueless as to how to make them all work together and actually create outfits. 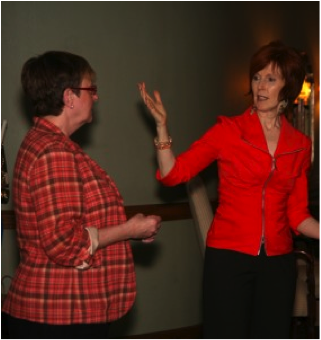 “Seriously, Ginger, the ‘Your Style, Your Way’ workshop changed my life! I adore my words and apply them to more than just my wardrobe. I’ve been going through my things and realize why, with a million pieces of clothes, I never had anything I wanted to wear compared to wanting to wear my new aligned stuff every day. I always thought (before I went to YSYW) that I couldn’t be fashionable or look good unless I dressed up. Now that I have my words I see that it’s more about how my outfits make me feel than following whatever I thought the rules were. I see why a smaller, well-chosen wardrobe makes more sense. It makes me want to go out more. I just signed up for a bunch of events and can’t wait to put together great outfits for them. After years of taking care of everyone and everything you’ve lost touch with who you are, and you’re dressing in a way that feels and looks drab and unsatisfying. You’ve made a career change but are still dressing for the “old” job – so when you get dressed in the morning it feels like you haven’t fully moved on. You’ve gained weight or your body has shifted, and dressing now feels so frustrating and overwhelming that you’ve lost hope of finding things that flatter your new body. At least once in the last 90 days you attended an event, party or gathering feeling self-conscious about what you were wearing, and you’d love to not feel that way anymore. Even though you have a closet filled with clothes, you wear the same three outfits all the time. You’re tired of it, and dream of having many outfits that you love to wear. 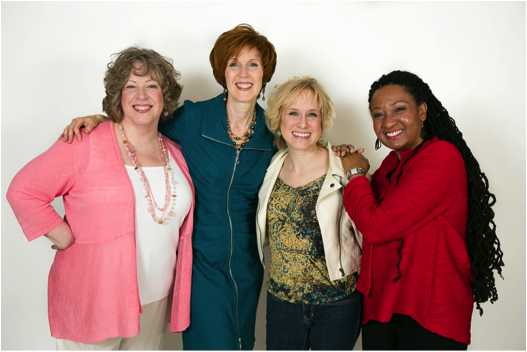 This transformational Inner and Outer Approach to Beauty Event will FOREVER change the way you dress, shop for clothes, and show up in the world! 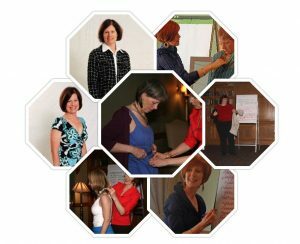 My clients and workshop participants learn the power of using their four “Inner Beauty Words” to fill their closet with clothes they love to wear — regardless of season, current trends, age or body type. My heartfelt mission is to empower each woman I work with to feel great about herself and realize her inner potential. I know what happens when we as women are empowered and how much we hold ourselves back when we aren’t. I was 30 before I figured out how to dress in a way that made me feel good inside and out. Before that I spent countless hours and wasted tons of energy and money copying what others wore, and trying to fit into what society dictated I “should” wear. There is nothing worse than when a woman holds herself back. You know it. You feel it. We’ve all done it. So while it’s sometimes easy to dismiss clothing and fashion as “shallow,” “selfish,” or “less important” than other things in life, I know without a doubt that when we dress well and look our best, we feel better about ourselves. And it only takes one step to start the transformation. It doesn’t matter why you want to create a wardrobe and personal style you love. Every woman’s purpose is different. The important part is that you are ready to find a look you love! That’s all it takes, and you are in the right place to find guidance and support. I can tell you with 100% certainty that once my clients uncover their personal style (that they absolutely loved) they are free from worry about whether they look their best. The innate confidence that I believe every woman has is free to come out — sky’s the limit after that! Now it’s your turn to experience this empowering transformation too! You know in your heart that if you don’t do something, months and even years will pass and you’ll still feel unhappy with your wardrobe and how you look on a regular basis. While you’re not sure what to do you DO know that you don’t want to keep feeling the way you do! If that’s the case, this workshop is the perfect next step! We spend the morning doing an series of exercises and by lunch time you will have your very own 4 inner beauty words — words that describe you at a deep level. I have done this exercise with hundreds of women and no two women have ever had exactly the same 4 words. These 4 words will become the foundation of your newly discovered personal style and I’ll show you how to make the most of that. After a lovely lunch at a cafe next door, we spend the afternoon answering all your questions about your wardrobe and blossoming personal style. You will bring clothes with you — things that you have always wondered about…do they work? do they not work? And, in both cases, why! Understanding why something is flattering or isn’t is super empowering and gives you valuable information for the next time you get dressed or go shopping. Discover the 4 “Inner Beauty Words” that will forever change the way you dress, shop, and move through the world– the secret key to your unique personal style that will have you jumping out of bed to get dressed. Joyfully stand before your closet and choose what to wear to your next event, party or gathering in no time, thinking “I can’t wait to get there,” knowing you’ll be radiant, pulled-together and feel empowered! Feel confident about how you’re moving through the world, even if your body has a few more pounds than it used to. But guess what? It’s not your fault! Here’s the thing about having an amazing personal style: it’s learnable and it’s doable! It’s a magic combination of art and science, creativity and thought, inner and outer tools, designed to have you powerfully creating a wardrobe that reflects who you are, has you looking radiant and put together, and that empowers you to show up fully in the world! So let’s be crystal clear: this is about so much more than what (not) to wear. If you’re no longer willing to settle for a wardrobe you don’t love, if you’re done holding yourself back (in even one area of your life), if you want your sense of style back or want to feel a sense of style for the first time ever — come spend the day with me and up to 4 other women who want this too! I’ve got lots of goodies planned for what’s going to be a deeply transformational day. A full day guided by me personally – this is my heartfelt work. The delightful combination of support from me and the other women who attend (I’ve deliberately kept the group small–just 3-5 women) will have you feeling free and safe to be vulnerable, supportive, supported, and to receive the Inner and Outer Tools I have in store for you. At Christopher’s Cafe two doors down from my house. 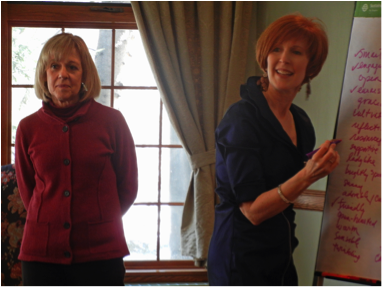 A one-month complimentary subscription to the ‘Styled by Ginger’ program–I’ll tell you more about it at the workshop. This program will allow you to super power your transformation. Secret Raffle Prizes. Because I love to have fun and give stuff away, the day is going to be peppered with some awesome giveaways. Hint: they have to do with beauty & style – who couldn’t use more of that! Are not interested in taking an Inner and Outer approach to beauty and style, which includes supporting and being supported by other women who are committed to truly dressing differently from the Inside Out. In other words, if you are looking for someone to just fill your closet with clothes and be done with it, you’re not a good fit for this workshop. Blame others for things that don’t go smoothly in your life and believe that no matter what you try there will never be enough time, money or energy to develop a style you love. Believe that one day will be a “quick fix” for your fashion and style woes forever. I often compare having great style with doing the laundry. You don’t just throw in a load once and it’s over. You have to do the laundry consistently – but once you know how it becomes easy. If you love to wear every trend on your body at the same time. This is not a workshop about fashion trends (although we will talk about them), it’s about developing your personal style that may include select trends you love and that work for you. Your Style, Your Way is an event that’s intended to inspire and empower you to transform the way you dress on a deep level. Women often tell me that the money they save in not buying clothes they never actually wear (or returning the clothes hanging in their closet with the tags still on them) is worth double, even triple the workshop ticket price or more! 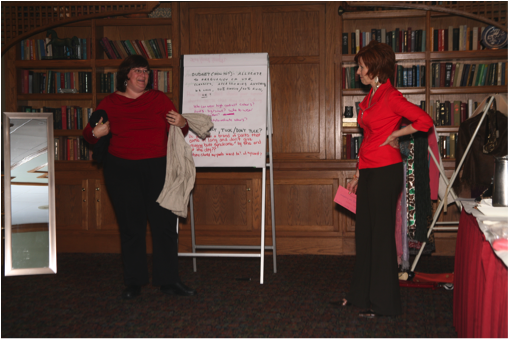 When you follow what you learn at the workshop you will have great success getting dressed and shopping. And the results will last you a lifetime! P.S. If you know friends who are a perfect fit for this 1-Day Transformational Live Event, please share this page with them and let’s get it scheduled for you. P.P.S. Love what you see here but have questions? Simply send me an email at ginger@totalimageconsultants.com with “Your Style Your Way Question” in the subject line. And we’ll get back to you right away. CANCELLATION POLICY: Due to the intimate nature of the Your Style, Your Way workshop all deposits and payments are non-refundable. The only exception would be if there is a waiting list and someone can take your place (but no guarantees are made) or in the case of the workshop being cancelled due inclement weather. LEGAL DISCLAIMER: Every effort has been made to accurately represent our workshop and its potential. This workshop will only work for you if you participate fully, take action, and implement the information I’m going to share with you. As stipulated by law, the testimonials used in promoting this workshop show results that are possible and can be independently verified. They are not intended to represent or guarantee that everyone will achieve the same or similar results. I cannot and do not make results guarantees or give professional, psychological, medical, or legal advice. Your results will depend on you, your participation, and follow through.